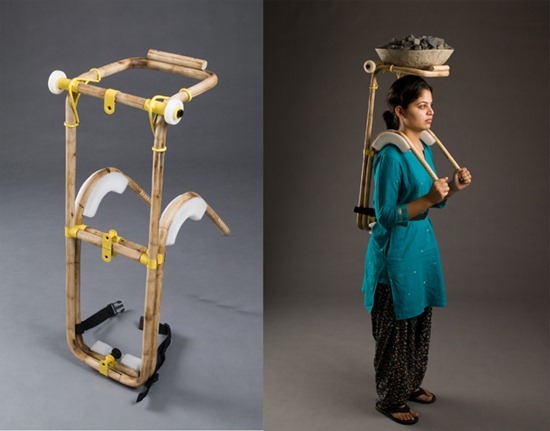 Load Carrier for Labourers designed and created by Vikram Dinubhai Panchal of The National Institute of Design (NID),Ahmadabad won award in product / equipment category in contest arranged by Core77. This product is designed for labourers who work at factories,ports,railway stations etc carrying and pulling heavy loads to survive in life. 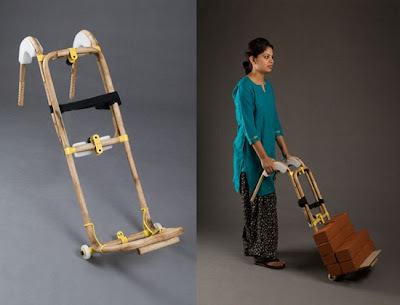 The objective of this product is to prevent various occupational hazards and for welfare of human life. 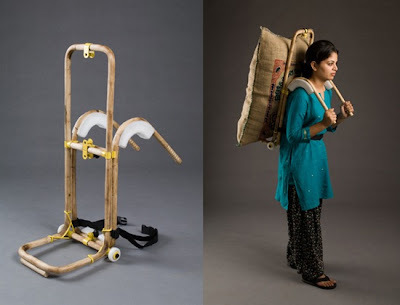 This product costs about Rs.300. Checkout more details of this product here.